might database lines or structure to improve the breadth of my drawing. I thought my going from form to restriction of form could be an interesting journey, viewers, admirers, patrons[(the sounds of)crickets chirping]…that’s my sell point, I’m developing [akin to a photograph?]. If I improve-then you can share in my success, by being there with me. 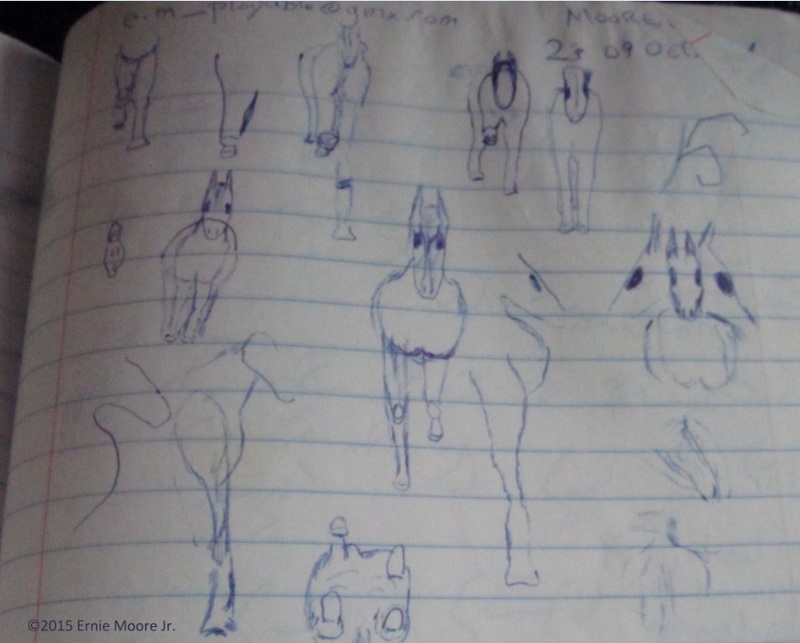 But as I learn the worlds in which I study, I might be making Continents.-Ernie Moore Jr.
Here’s me studying my understanding-comprehension of horse, to design forms/icons/letter characters. (No words)-whatever you get out of whatever.-Ernie Moore Jr.